Please Note: These shirts run about a half size larger than our other brands. Probably not enough to switch sizes, but it will be loose fit. Two decades ago the journey began in the coastal city of Dana Point, California. Drawing inspiration from the ocean, nature, travel and culture, High Seas is dedicated to converting fine art to cloth which is tailored and brought alive on each one of their shirts. 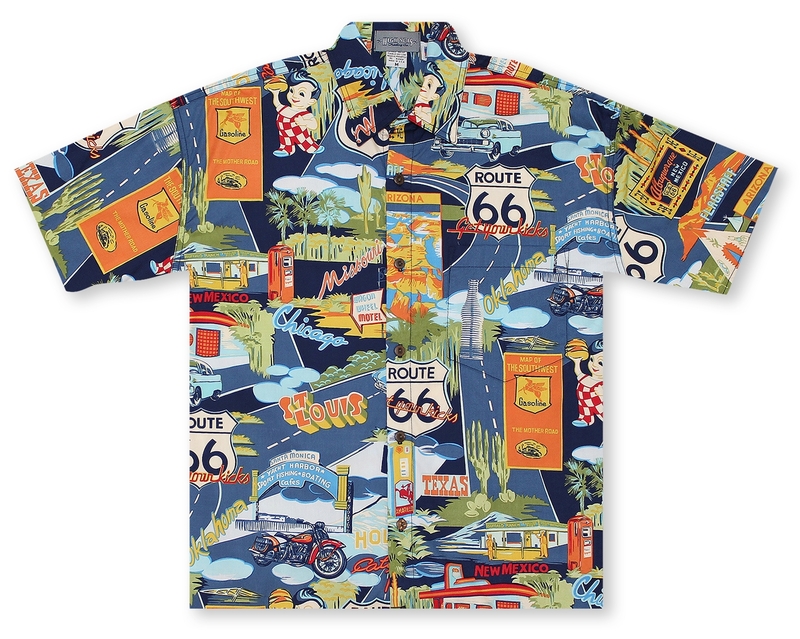 All High Seas shirts have been designed and made in California since 1988. High Seas Trading Co. is family run company and is proud to be in the less than 5% of apparel companies still manufacturing in the USA. Being a local company gives them the speed and flexibility to make limited edition and small runs of rare fabrics that are unique and very cool.